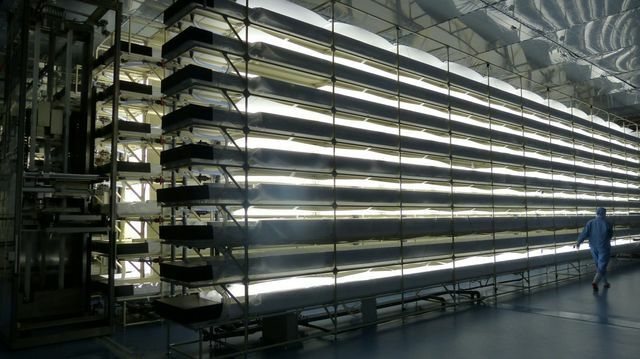 This is a short but very interesting article explaining how LED lighting is helping to assist with mass production of vegetables to ensure food production is continually increased, and in line with the UN's forecasts of an extra 2 billion people in the World, within the next 25 years. There is a strong possibility that this may become one or only ways that food is grown within our lifetime, so LED's will be playing an extremely important part. Images of conveyor-belt veggie production in multistory buildings are especially encouraging because the world’s population is expected to pass 9 billion people from the current 7 billion in the next 25 years. As a result, the demand for food will nearly double as living standards rise, so says a UN forecast.